TunesKit Spotify Converter — Convert Spotify music to MP3, WAV, and FLAC file format with the help of this lightweight piece of software that lets you adjust the output quality. If you want to make your Spotify music available on more devices, it would be best to convert it to a file format. 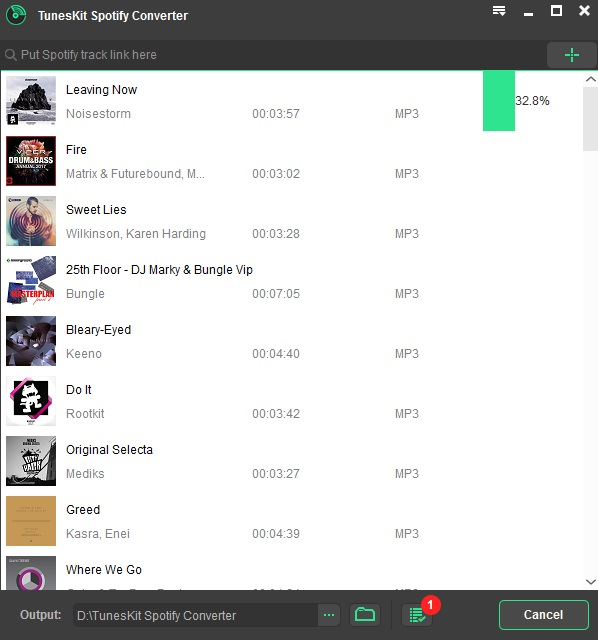 TunesKit Spotify Converter is an application that helps you with that, being able to process your tracks, albums, and playlists and move them to various popular audio file formats. 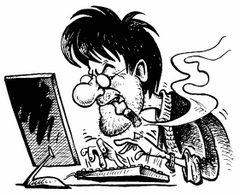 It is really a pain to use the traditional method to record music in real time if you have abundant of Spotify songs. 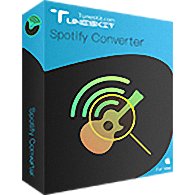 Now with TunesKit Spotify Music Converter, you don't need to worry about the conversion time any more. This smart Spotify music app supports to convert your music songs in batch at up to 5X faster speed. In addition, the music conversion process is done automatically so that you don't need to sit in front of the computer during the conversion. TunesKit Spotify Converter for Windows has been well-designed with a simple yet beautiful interface. Anyone can handle it at the first glance even without refering to the user tutorial. In addition, TunesKit keeps improving the software and releasing new versions constantly. You don't need to worry about the compatibility between TunesKit and Spotify at all. For buyers of TunesKit Spotify Converter, you can enjoy free lifelong software upgrade ever since. A perfect Spotify solution to convert any Spotify song for any player. TunesKit Spotify Music Converter for Windows is a versatile DRM remover and converter. Combining a lot of stunning features, it's your best assistant to download Spotify music, convert Spotify tracks to MP3, classify Spotify library, etc. In a word, it delivers a perfect all-in-one solution to meet your requirements of downloading and converting Spotify music for any device. Size: 0,58 / 2,21 MB.